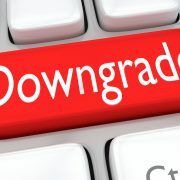 The debt repayment crisis of Infrastructure Leasing & Finance (IL&FS) widened as credit ratings agencies downgraded the debt of IL&FS group entities and more debt mutual funds recorded sharp drops in NAV following the downgrades. Thirteen AMCs have debt exposure of around Rs 2,900 crore, according to a report in Value Research. 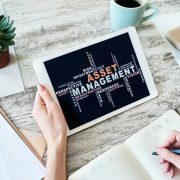 As of Tuesday, DSP Credit Risk Fund, Motilal Oswal Ultra Short Term Fund and several schemes of Principal Mutual Fund had recorded major drops in NAV. Motilal Oswal AMC issued a statement clarifying that the losses were mark-to-market only and the NAV would recover over the next few days. 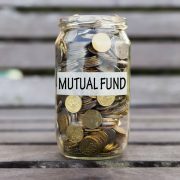 Principal Mutual Fund, on the other hand, halted lump sum and SIP inflows into its debt funds to prevent new investors from making windfall gains from the sharp NAV decreases. DSP Mutual Fund has not issued any statement so far. As we reported here IL&FS failed to pay more than three-fourths of a deposit of Rs 250 crore which it owed to Small Industries and Development Bank of India (SIDBI). In addition, on August 28th, IL&FS Financial Services, a subsidiary of IL&FS, defaulted on its debt, repaying the money after its due date. On Monday (September 10), ICRA downgraded the rating of IL&FS Transportation Networks due to the repayment problems at the parent company (IL&FS). 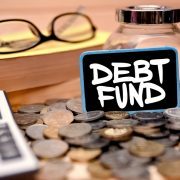 This is because the NCDs issued by IL&FS Transportation Networks were backed by Debt Reserve Service Account (DSRA) undertaking issued by the parent company. ICRA has also downgraded the ratings of other IL&FS group entities. LIC is the largest shareholder in IL&FS with a roughly 25% stake. Following the defaults and downgrades, DSP Credit Risk Fund has reported returns of -1.77% in its credit risk fund within one week. Such losses, while common in equity funds, are highly unusual in debt funds. DSP Credit Risk Fund holds 3.21% as a structured obligation issued by IL&FS Transport Networks and roughly 3.3% in debt issued by IL&FS Energy. Motilal Oswal Ultra Short Term Fund has recorded a weekly return of -1.81%. The AMC has an exposure to IL&FS (the parent company) of about 9.88% of its assets. However, Aashish Somaiyya, CEO of Motilal Oswal Mutual Fund, issued a statement expressing full confidence in repayment of dues and NAV recovery. “We don’t have any long bonds; only CP of ILFS (main holdco) one matured yesterday, one maturing next week & one more maturing in Jan’19. People holding ultra-short fund for even few more days will see NAV restored as maturity is paid. MTM is due to overnight massive downgrade,” he tweeted. According to Value Research, the following schemes have exposure to IL&FS debt.